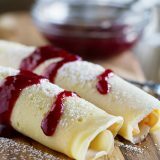 These Monte Cristo Crepes are sweet and savory and perfect for breakfast, brunch or dinner! 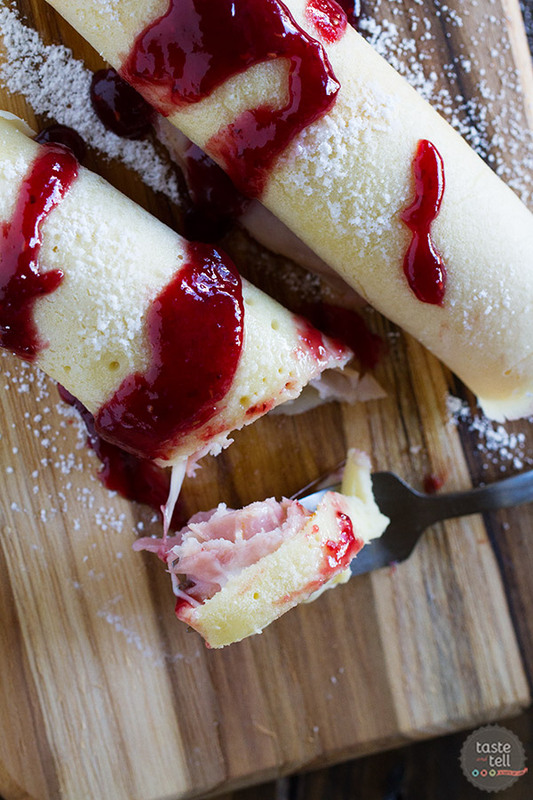 Tender crepes are filled with cheese, ham and turkey and topped with raspberry jam and powdered sugar. I have often said that I want to taco-fy everything. Because, well, everything can basically be made into a taco. And it’s a great way to change up taco night. Well, the changing of the taco is now turning into the changing of the Monte Cristo. Because I’m basically obsessed. 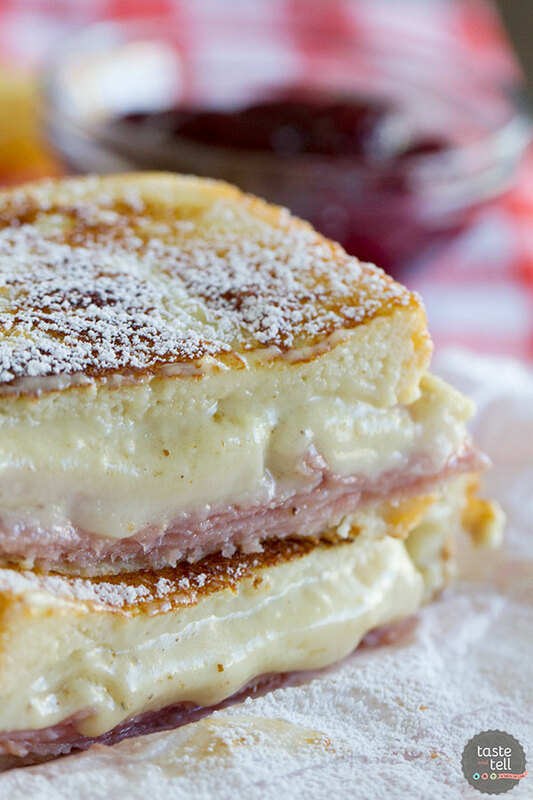 I actually remember the first time I had a Monte Cristo, which is surprising because I have the worst memory in the whole world. I can’t even remember 1 week ago, much less when I was 5 years old. And while I may not remember how old I was, I will never forget that sandwich. My brother was home after living away for awhile, and made this strangely addictive sandwich, and I’ve never been the same since. 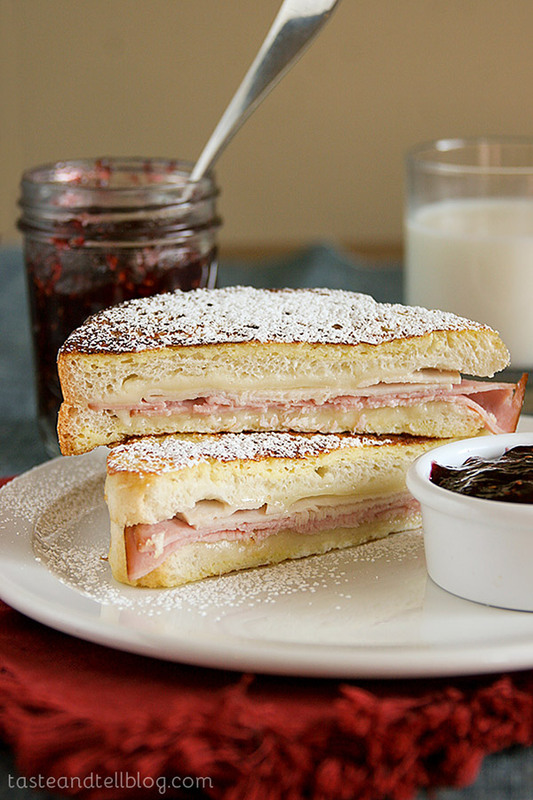 If you aren’t familiar with a Monte Cristo, it is a ham sandwich (which often includes turkey) that is fried and then served with powdered sugar and raspberry preserves. 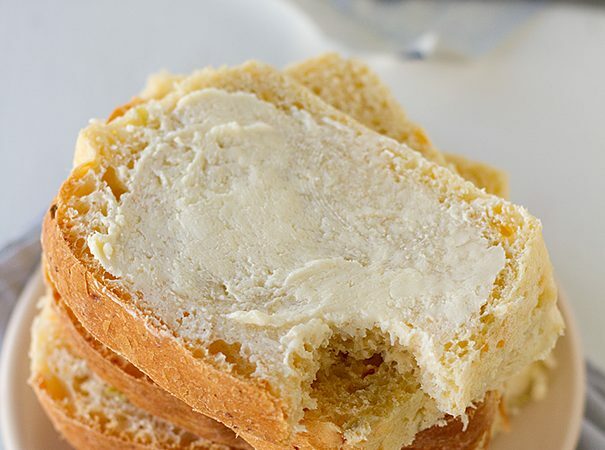 My brother made them the more popular way to make them at home, by dipping the sandwich in an egg batter and pan frying it, sort of like a French toast. After trying and falling in love with my brother’s sandwich, I had the opportunity to try one at Bennigan’s, where the sandwich is super popular. It’s no wonder, because the sandwich is deep fried. 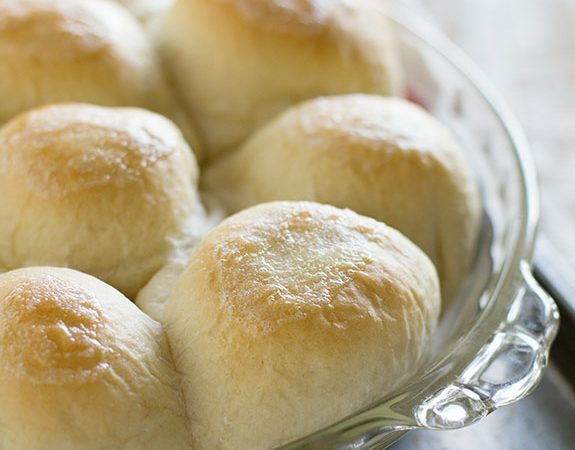 But regardless of which way you have them, they are just all kinds of delicious. I think I love them so much because the sweet/savory combo is my very favorite. 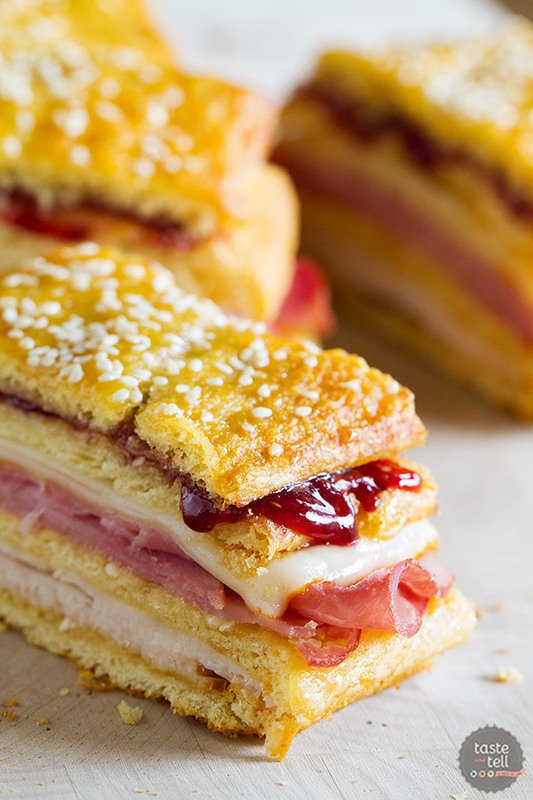 And these Monte Cristo Crepes definitely have the sweet and savory covered. 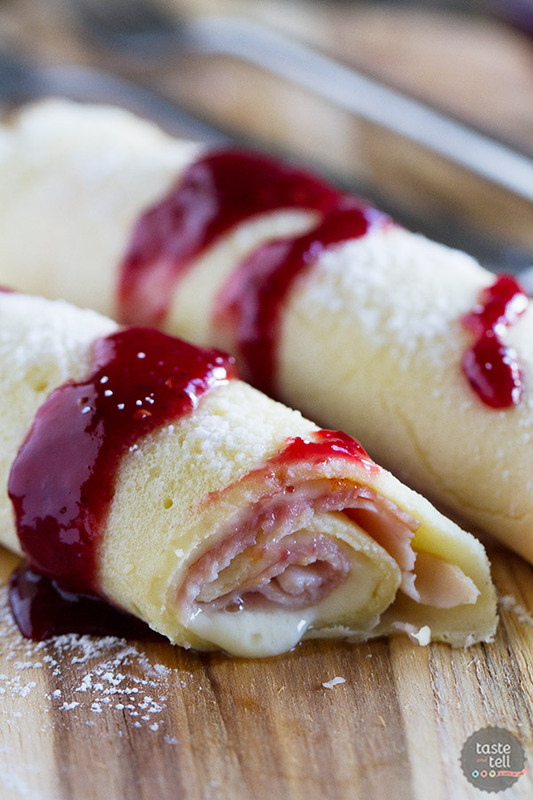 I start with a basic crepe recipe, then roll them up with a slice of cheese, ham and turkey. Then sprinkle on the powdered sugar and drizzle them with raspberry jam. Or serve the raspberry jam on the side for dipping. If you’ve never tried the combo before, you may be thinking that I’m crazy right now. but trust me on this. These crepes are killer. I’m thinking they’d make the perfect brunch recipe, but we ate them for dinner, as well. I would eat them for breakfast, lunch and dinner if I could get away with it! In a blender, combine the milk, water, and eggs. Pulse to combine. Add in the flour and salt and pour the butter on top. Pulse again until all of the ingredients are combined and the batter is smooth. 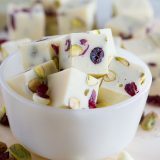 Cover the batter and refrigerate for about 30 minutes. Place 1 slice of cheese, 1 slice of ham and 1 slice of turkey on each crepe. If desired, microwave for a few seconds to slightly melt the cheese. Roll the crepes with the filling on the inside. 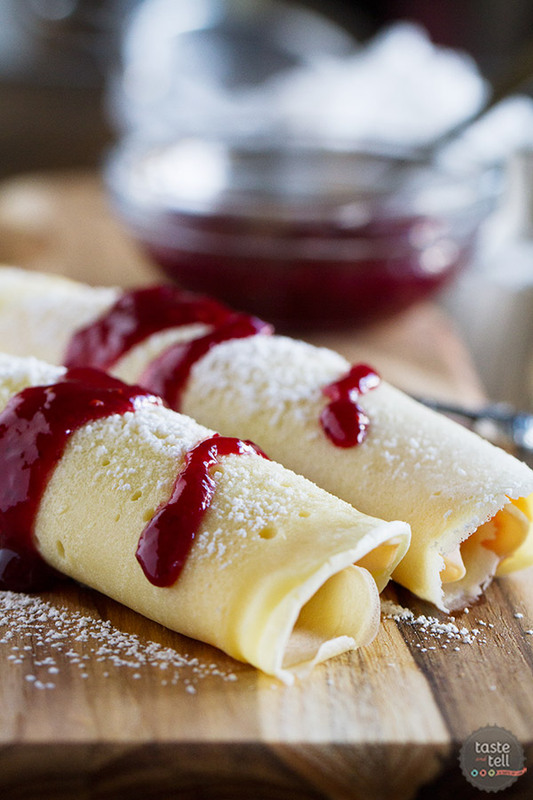 Serve the filled crepes sprinkled with powdered sugar and drizzled with raspberry jam. 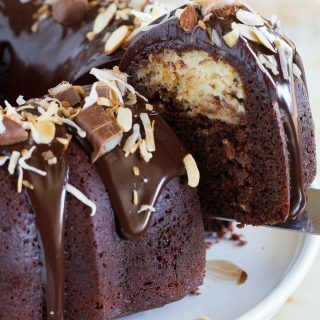 These look fabulous, Deborah! This idea is genius! I’m a total nut for Monte Cristo anything! My fave of course is the one you can get in Disneyland…I swear that baby is worth the price of admission alone. But this combines my love of crepes into my favorite sandwich. YES all the way! I have never had this and it has been on my list of things to try…so I attempted to cut the recipe in half, used too much butter and oat flour did not hold up well so my crepes fell apart BUT, it was amazing! Unfortunately I got so excited I printed the recipe and did not scroll all the way down and see all the other (easier?) ways to do this without trying my hand at crepes…now I’m curious about Disneyland!!!!!!!!!! This is one of dishes in France that i enjoy. 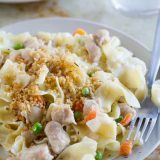 Thanks your post! usually, i only eat. Today, i can come back home and try processing. 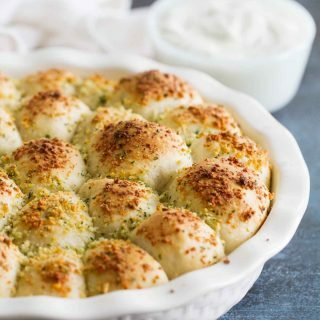 If i success, i will do this dish in the next birthday party of my son. Love it! I’m so glad you and your family enjoyed them! I love the Monte Cristo at Cheddars so I’m sure I will love this as well. 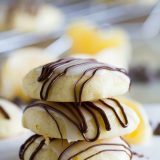 I will be making these for my son’s French class.